"Warning: This is not a Game, Conflict". Large poster, landscape orientation, with a red cross to the top left corner with the words "British Red Cross". 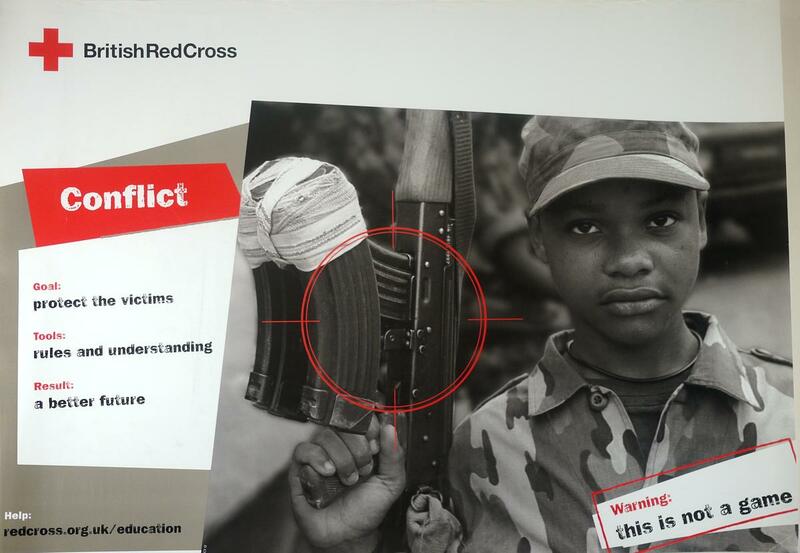 Below this on the left side is the subtitle "Conflict" and a list of objectives under which is the Red Cross web address in the bottom left corner. Bottom right has a text box reading "Warning: This is not a Game". A large black and white photograph dominates the poster showing adolescent boy holding a gun which is in a cross hair symbol. Reverse plain.